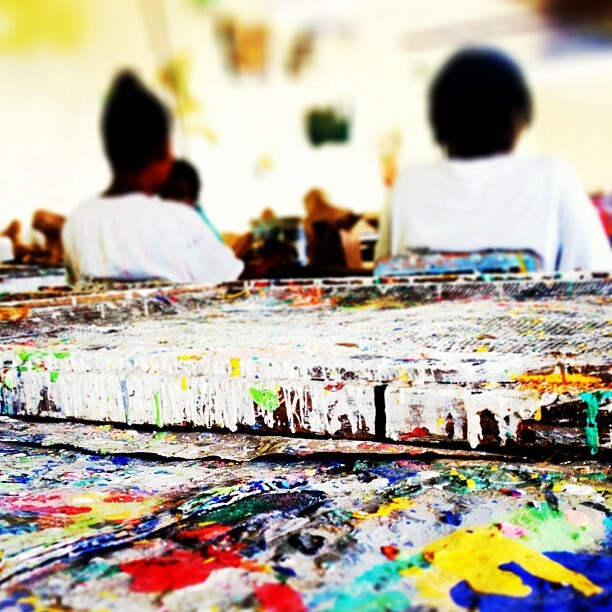 Arts & Crafts, Creole Style — Anna Akbari, Ph.D.
A 90 minute flight from Miami can get you to a resort in Turks and Caicos, or to the poorest country in the western hemisphere, Haiti. 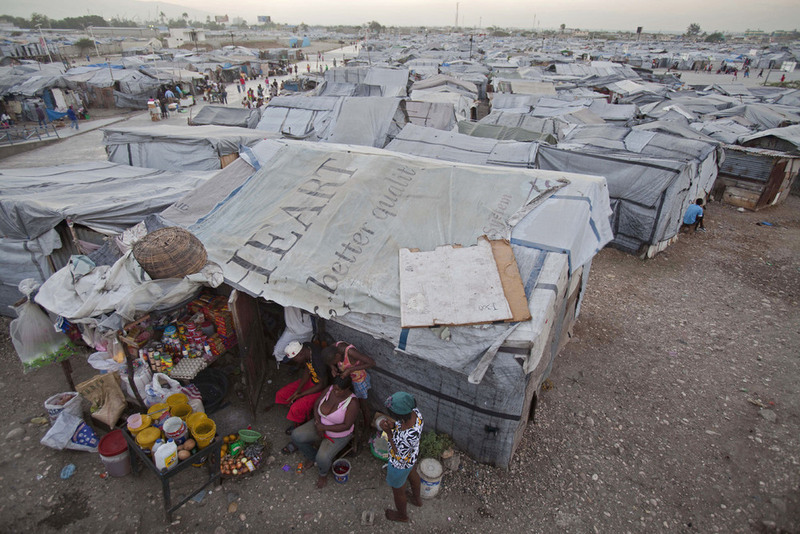 Even before the 7.0 earthquake left over 1 million of its 10 million people homeless in 2010, 78% of Haitians lived on less than $2 a day, only half of Haitian children were enrolled in any form of school, and the unemployment rate was over 70%. In the three years since the earthquake, hunger-related problems are at an all-time high, despite the billions of dollars donated in aid. Less reported, however, is the fact that Haiti has more artists per capita than any other country in the entire world, with over 95% of those employed working as merchants selling goods on the street. With one of the country’s most famous musical artists, Michel “Sweet Micky” Martelly, elected as Haiti’s President, artistic and intellectual creation is also being valued more than ever before. Following Nobel Peace Laureate Muhammad Yunus’ lead, many nonprofits in Haiti are focusing on innovative social business as the hope for sustainable change from within the country. 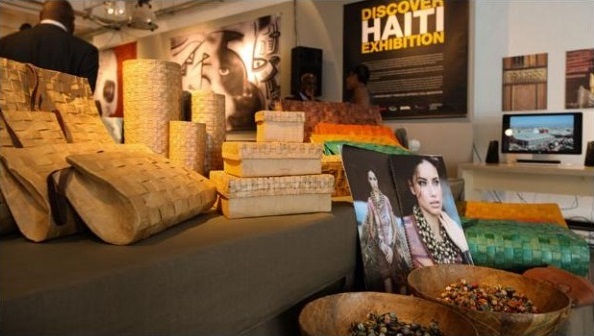 Even business in Miami’s Little Haiti district is booming, with its recent “Discover Haiti” exhibition, hosted by designer Donna Karan, whose Urban Zen Haiti Artisan project helps Haitians convert their artistry into for-profit cooperatives. 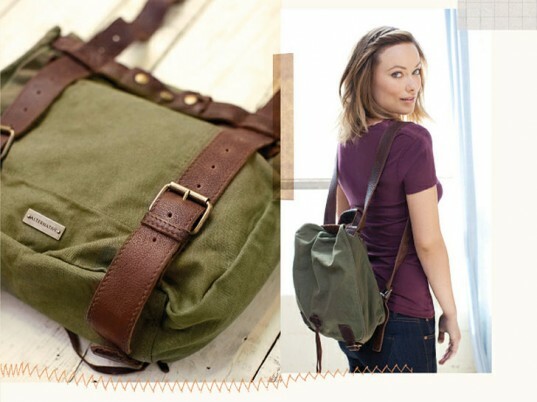 Macy’s partnered with Full Circle Exchange to bring a fair trade collection of Haitian handiwork to its stores. 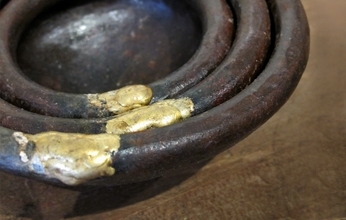 This paper-mache vase is completely handmade, and boasts one of country’s bright native flowers. The paper-mache artists, like Sylvaince Harry pictured above in an interview with Full Circle Exchange in May, receive half of the wholesale price for each item sold (which isn’t affected by the additional 15% you can save by putting in the promo code SUMMER at checkout!). 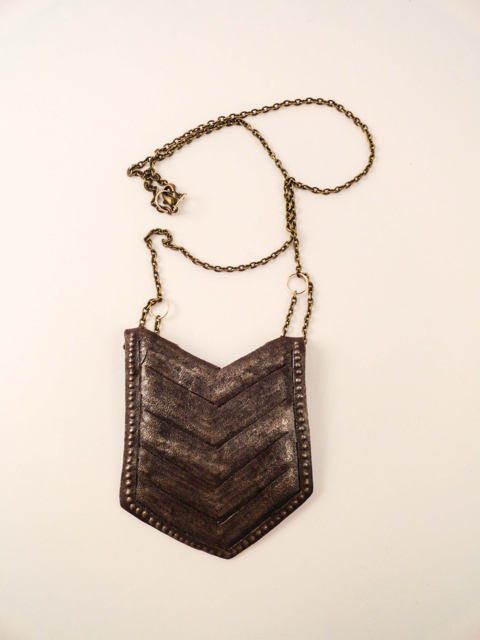 This $22 necklace was handmade by metalworkers in Haiti, and celebrates the five year anniversary of Haiti Creations which works exclusively with women artisans in Haiti. 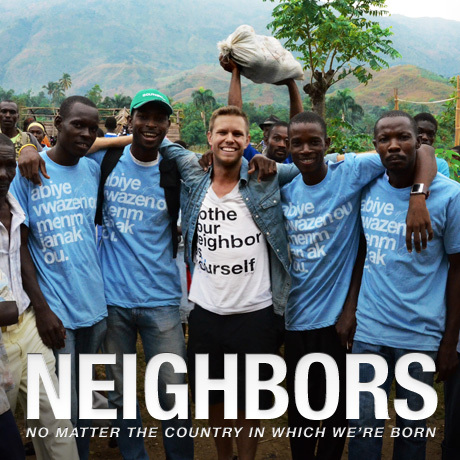 The program is an offshoot of Heartline Ministries, which has been in Port-au-Prince for over 20 years and has a large volunteer base, allowing 90% of its donations to be spent on the ground in Haiti. 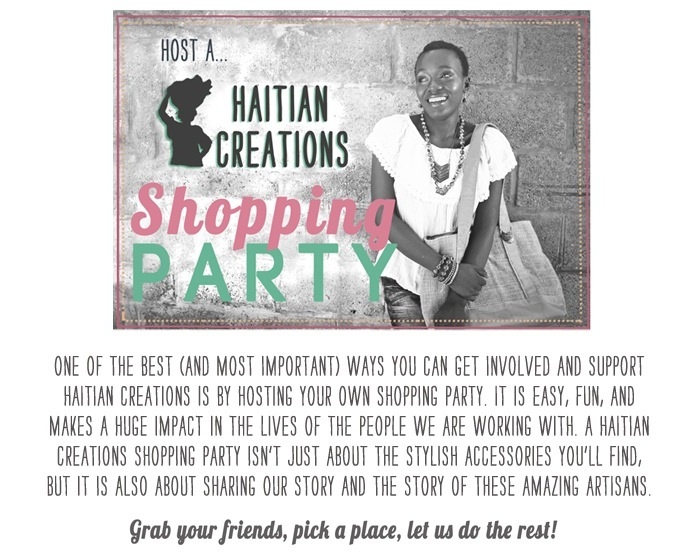 One of the program’s most successful ventures is a philanthropic twist on the old tupperware party: if you gather your friends and tell Haiti Creations, they’ll send you a variety of handmade, Haitian goods to sell at it, making you the hostess with the international mostess. 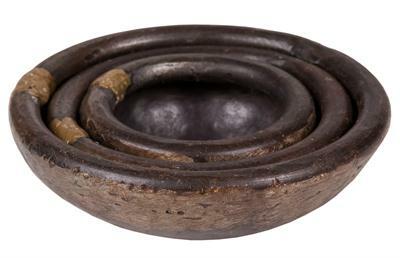 This choice of three nesting bowls from Donna Karan’s Urban Zen Collection was made by critically acclaimed Port-au-Prince native, Philippe Dodard, who transforms scraps of metal and rusted steel drums into modern, sophisticated, and hearty tableware. Featured in Karan’s Haiti Artisan Project, these are just one of the many items that were on display in Miami’s recent “Discover Haiti” exhibit, meant to showcase Haiti’s creativity to a wider consumer and design audience.